Rest in Green Meadows: "The Oreo"
Kristi has just gone back to surgery. They are to start at 7:30a.m. The Dr.'s said we should know in a couple of hours after opening her up if the cancer has spread where they will not be able to operate, or if all can move forward as planned......or better yet that there has been a miraculous change! As I said my last goodbye to Kristi in the pr-op room I thought God would give me something profound to say but instead I cried and said, "I am hugging you for all four of your siblings and you are the cream in the oreo and we can't live without you". She started laughing and said, I'm the good stuff!" I said, "Exactly...and no one really likes the cookie part without the cream!" No middle child syndrome here! She was laughing hard and I was crying as the nurse came in and wondered what was going on. Kristi told her I was saying crazy things! : ) God is good to give us comic relief and His grace in all different ways! Mom reminded me that Alyssa "only loves the center of the oreo and how frustrated our whole family has been to find the cookie parts hidden in couches and behind her bed and all over the house over the years". God's grace is sufficient.... He enabled my parents, and Billy and Billy's parents to make that long walk down the hall after leaving her, and yesterday none knew how they were going to endure leaving her. I know you are praying for many things, but please specifically pray for Isaiah and Alyssa. Much of Kristi's grieving has been as she considers her children. Amy found Isaiah and Breck on their knees praying in Breck's bedroom for his mom yesterday. Isaiah understands enough to be very anxious. My parents continue to say.........we are trusting God for His Miracle! what a sweet post. Praying with you this morning! I popped you a friend request on FB. I'd very much like to send something to Kristi there in Houston during her recovery. What's their address in TX? There is a small chance we may have to move apartments and she hasn't been given a room yet at MD so I will post an address as soon as we know. Bowing before His throne for you, your husband, your children and your family. Thank you for putting together the prayer time last night! That blessed Billy and Kristi and all of us. 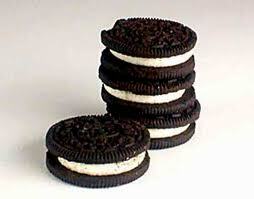 Oh, Danina, the Oreo analogy is GREAT!!! Mike and I woke up around 4:30 this morning and have been praying ever since. Carol Faye texted me that she has also been in prayer. Our hearts are breaking for you all!!! But I think God expects that of us towards the ones we love! GOD IS GOOD!! !